One of the top human rights activists in Russia's north Caucasus region has been found murdered. Natalya Estemirova was abducted from her home in Chechnya early this morning. Her body, which showed signs of a violent death, was found at 5.20pm (2.20pm Irish time) near the city of Nazran in Ingushetia, the region neighbouring Chechnya. According to preliminary information she was shot dead. The Interfax news agency quoted the spokesman for the investigative committee of Russian prosecutors, Vladimir Markin, as saying that documents confirming her identity had been found on the corpse. The Memorial rights group, for which she worked, had said in a statement earlier that Ms Estemirova was forcefully taken from her house into a car and shouted that she was being kidnapped at 8.30am in the Chechen capital Grozny. 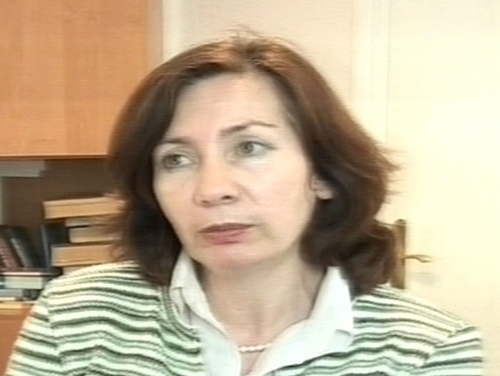 Natalya Estemirova was one of the main Caucasus-based activists for Memorial, an organisation acclaimed worldwide for its uncovering of rights abuses and studies of distortions of history in Russia. In 2007 she was awarded the Anna Politkovskaya prize - named after the murdered journalist - by the Nobel Women's Initiative, a group established by female Nobel Peace Prize laureates. She had also received awards from the Swedish and European parliaments. 'Chechen authorities had expressed dissatisfaction with her work more than once,' Memorial said. Memorial and Human Rights Watch had issued a hard-hitting report earlier this month accusing Chechen security forces of punishing families of alleged militants by burning down their homes. Meanwhile, the authorities have failed to secure any convictions over the 2006 killing in Moscow of Ms Politkovskaya, who exposed abuses by Russian security forces in Chechnya and vehemently criticised the Kremlin. Russia has also not solved the January murders of young journalist Anastasia Baburova and human rights lawyer Stanislav Markelov who were gunned down in central Moscow as they left a news conference.